Armenian Prime Minister Karen Karapetyan’s ratings have fallen within this year. According to head of the Armenian office of the Gallup International Aram Navasardyan, the previous “turn-on” in the public caused by Karapetyan’s appointment has been slipping, as the outcomes of a poll conducted on Nov 10-22 have shown. According to Navasardyan, in the end of last year, Karapetyan’s activities were positively assessed by 85% of the respondents, and it was quite a high figure. But in July it fell to 71.6%. 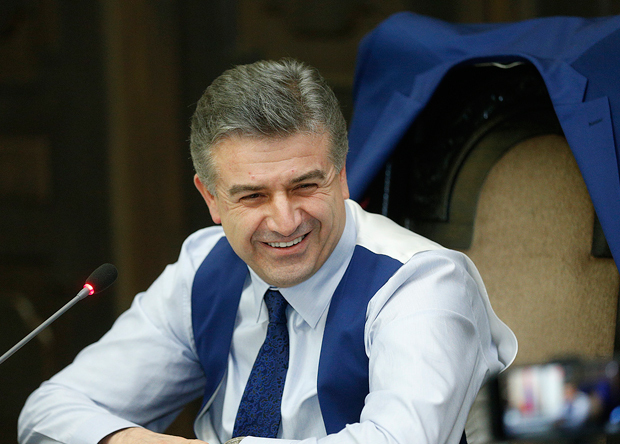 “Today, activities of Karapetyan as prime minister are supported by as low as 57.3%. Evidently, the figure itself is high, but comparing to last year, the ratings fell by almost 30%,” the sociologist noted.